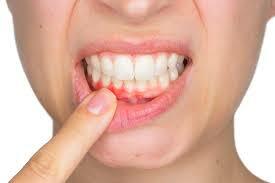 “Gum disease bug could play ‘central role’ in development of Alzheimer’s,” The Independent reports. The causes of Alzheimer’s disease are still debated. Most scientists think it is likely to be down to a combination of factors, including your genes and lifestyle. Doctors have observed that gingivitis is more common among people with Alzheimer’s disease, although that could be because these people find dental hygiene more challenging. A team of researchers has found that proteins produced by P. gingivalis are present in higher concentrations in the brains of people with Alzheimer’s disease. While any advance in treatment of Alzheimer’s disease is welcome, this research is at a very early stage. We don’t know for sure that P. gingivalis causes Alzheimer’s disease in humans, or that the drug will work. The UK media’s reporting of the study was accurate and included some useful independent expert commentary. This study involved a series of experiments on human brain tissues in the laboratory and on mice. These types of experiments are useful in early studies exploring the disease process. However, looking at the presence of bacteria in human brain tissue doesn’t tell us anything about whether this may have a role in causing the disease. Also we don’t know that findings in mice will apply to humans. Firstly, researchers looked at post-mortem brain tissue samples from around 100 people with and without Alzheimer’s disease. They tested the tissue samples for the presence of 2 protein fragments produced by P. gingivalis bacteria, called gingipains to see if people with Alzheimer’s disease had more gingipains in their brain tissue. They tested the saliva and cerebrospinal fluid (CSF), which surrounds the brain and spinal cord, of people with Alzheimer’s disease, looking for presence of P. gingivalis DNA. They also ran an experiment where cultured cells grown in the laboratory were infected with P. gingivalis to see what effect that had on tau protein, a protein that forms tangles in the brains of people with Alzheimer’s disease. They then developed a group of substances designed to block (inhibit) the action of gingipain and tested them on cells in the laboratory. Researchers found gingipains in 91% and 96% (for each of the 2 protein types) of brain tissue samples from people with Alzheimer’s disease compared to 39% and 52% of brain samples from people without Alzheimer’s disease. They said the concentration of gingipains in brain tissue was “significantly higher” in brain samples from people with Alzheimer’s disease. They found P. gingivalis DNA in 7 out of 10 cerebrospinal fluid samples of people with Alzheimer’s disease and all 10 matched saliva samples. This study presents new information about the possible link that a common mouth bacterium could have with Alzheimer’s disease, and investigates a potential treatment. However, the mechanisms around the development of Alzheimer’s disease are complex. We don’t yet know how all the risk factors associated with the disease (such as age and lifestyle) and disease features (such as the presence of amyloid beta plaques and tau protein tangles) all fit together. The study suggests that infection may be part of the picture. But it only shows an association, it still doesn’t prove a causal link. It’s worth noting that not all people with Alzheimer’s had P. gingivalis in their cerebrospinal fluid – and there was no comparison group without Alzheimer’s. Healthy individuals could also show P. gingivalis DNA in their CSF. After all, signs of P. gingivalis were found in up to half the brain tissue samples of people without the disease. The researchers say they have also begun “new drug application-enabling studies” with the gingipain-inhibiting substance tested here. It is encouraging to hear that clinical trials are underway, but many drugs which seem promising at first for Alzheimer’s disease do not turn out to be safe or effective in human trials. Whether there is a link to Alzheimer’s disease or not, good oral hygiene keeps teeth and gums healthy. Find out more about oral hygiene.